We are proud of our workmanship and want to leave a lasting reminder that you have chosen Diamond Head Sprinklers to service your system. What other irrigation companies have their very own rotor? 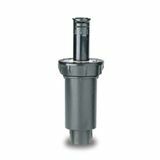 Our very own Diamond Head Sprinklers 4” pop up rotor is now available and is an exact replacement for the Hunter PGP rotor. Complete with a 2 year guarantee, our rotors match or exceed the quality and precipitation rates of our competitors. Selling for $2 less than the RainBird 5004PC and the Hunter PGP, we look forward to using our rotors on many upcoming installations and service repairs.